Uterine prolapses are rare. They usually occur in older sows with large litters or that give birth to very big piglets. Structures that hold the uterus become weak or uterine wall becomes flaccid and protrudes causing a prolapse. Estrogenic mycotoxins and slippery floors have been related to this condition too. The treatment consists in introducing the uterus inside the sow. This is often impossible or sow dies due to internal haemorrhage. 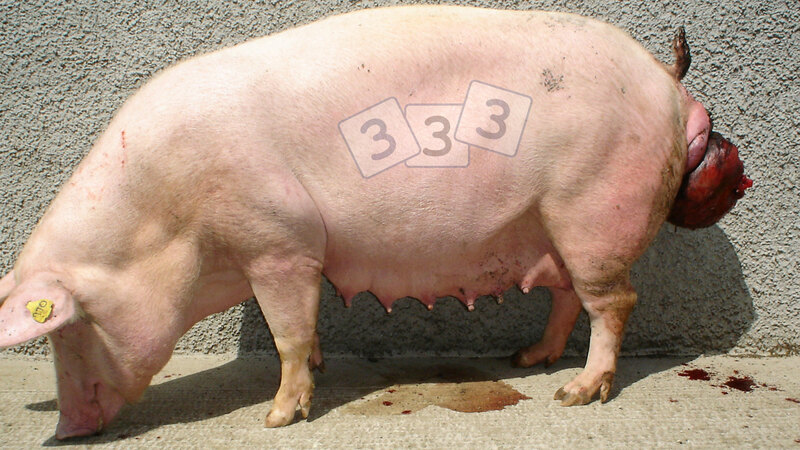 In most cases the sow should be culled for animal welfare reasons.